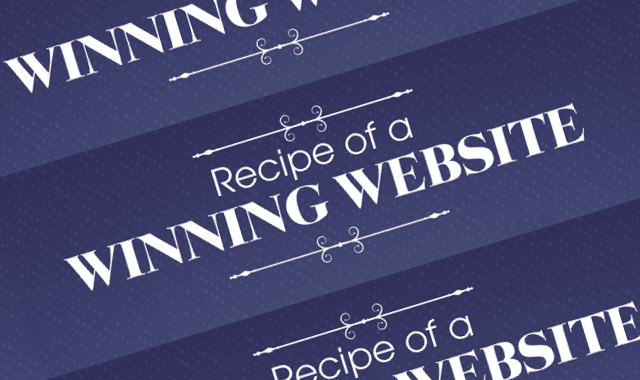 Recipe of a Winning Website #Infographic ~ Visualistan '+g+"
A creative web design is not only eye Catchy but interactive too. It is the necessary essence to match with the brand. Attractive and relevant image, bold and catchy headlines are all major attention seekers. Attributes like these make up a winning website. But have you ever noticed, are these the only elements that matter? No they aren’t, there are a number of other factors involved to make a website great. As a visitor scrolls further, he notices how user friendly a website is, its navigation translates it unique and responsiveness. The infographic below clearly explains how other important elements surrounds a quality design. Take a look at the information below and notice how important other factors are. A special thanks to Dubai Monsters for this creatively-informative infographic.